It is often thought of, when a person comes to Christ all of their pain, struggles, doubts, worries, and troubles are over but this my friend is not usually the case. In fact, sometimes the struggles intensifies. The question you may be thinking… How is it, when a person has found salvation and freedom in Christ, they continue to have some of the same struggles they had before Christ? When Christ finds a person in their mess, in their sin, in their darkness, He awakens them. In other words, when God calls/brings a person to Him, He is opening their eyes and their hearts to confess of their sins, repent of their sins and seek forgiveness for their sins. God is saving their soul. He is giving birth to a new spirit in them. The person who was once dead to the wicked works of this world is now made alive in Christ. The old sins, the old soul, the old bad decisions, the old mistakes are now dead and behold the newness of God has now come. The question I want to direct our attention to; what is the new that has now come? Many confuse the new with a brand new life. This is true in a sense. You have a new life in Christ, a new perspective on life, a new hope and a new power inside of you (Holy Spirit). But let us not confuse a new life in Christ for a new life in the day to day. What I mean by this is… For example, and I hope this doesn’t seem extreme. Say a person has been a part of a gang, selling drugs, running the streets tough and then he/she finds Christ. This person has found a new life but at the same time they have to struggle through with their consequences of their former life before Christ. Although we find Christ and we are made anew we still have to deal with the consequences of sin before we found Christ. That is one example. A familiar example that speaks for the general. Each person that God grants salvation to is redeemed and apart of God’s Kingdom. However, some of the struggles the person was living with before Christ may continue on once the person is with Christ. However, 🙂 the person that has found Christ now has a power in them to keep them, to sustain them, and help them with these struggles. The argument here is, Christians do struggle. However, 🙂 🙂 struggling is not a sin! Paul, who was once called Saul was a murderer of Christians. When Christ found Him, he was a fierce man, brutal in all of his ways that Christians feared. God gave Saul a mission to go teach and preach the Gospel of Jesus Christ. Many knew Saul and even after God saved him, he was still feared. Christians did not want to be around him and did not trust him. Even as a follower of God, Saul still had to deal with the consequences of his former life before Christ. This was not an over night process for Saul to walk away from the reputation of being a murderer. The same stands for you and I and all those who come to Christ. Alright, let me bring this to a close. To struggle means to fight, to continue, to strive and to achieve. 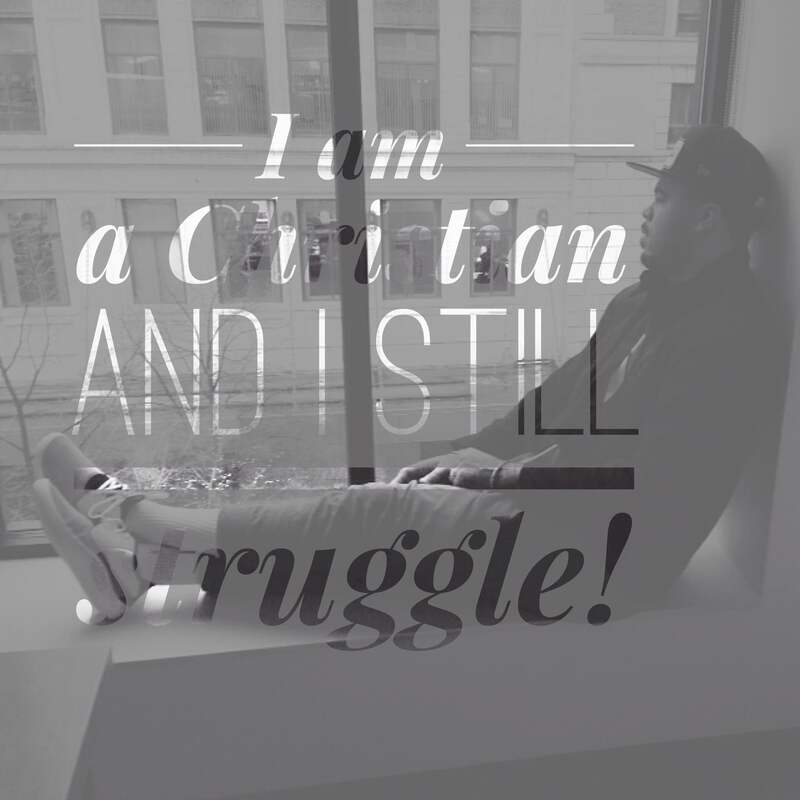 I may have struggles, they may be hard but this does not mean I am giving into my struggles. The struggles may bring pressure, the struggles may make my life a bit harder but this does not mean I am still living in sin or am I not a Christian. If you remember what Paul talked about in 2 Corinthians 12. He mentioned how God had given him a thorn to keep him from boasting, to keep him weak so that He can lean on the power of God. I believe God grants some struggles in our lives so that we can depend on the power of God. My struggles keep me crying out to God, my struggles keep me humble, my struggles remind me of how weak I really am and my struggles remind me God has me in His hand. He will not leave me nor forsake me. His grace is sufficient in my time of weakness! His grace is sufficient in my struggles! P.S. Christ can deliver people from their struggles when they come to Christ. God works according to His will. The hope of this blog was to address the fact Christians do have struggles and can still struggle once they have come to Christ. A person in Christ will have struggles. There is no way around it. Our salvation is still in Christ and Christ is greater than our struggles. Amen!? Please push back. I would love to hear from you. God bless!